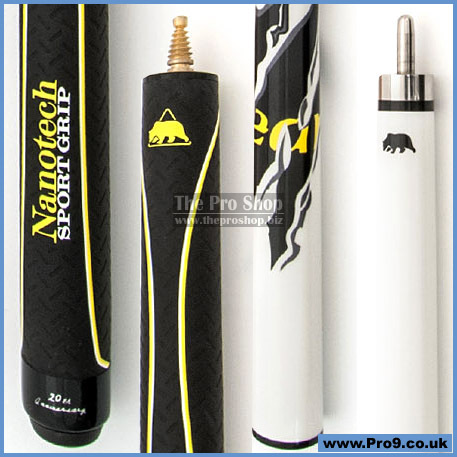 The leading-edge product for artistic billiard shots is the three-part break-jump-cue BCB-2 from Bear. 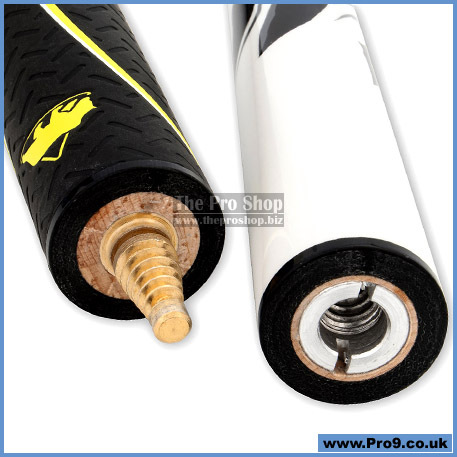 Carefully selected, super tough maple wood gives it the best energy transfer to the cue ball. It has a cool graffiti design in white, black and neon yellow. Thanks to a very solid, black 10 mm phenolic-ferrule and a 13 mm K-2 boar-skin-leather break tip, your jumps and breaks will work out really good. 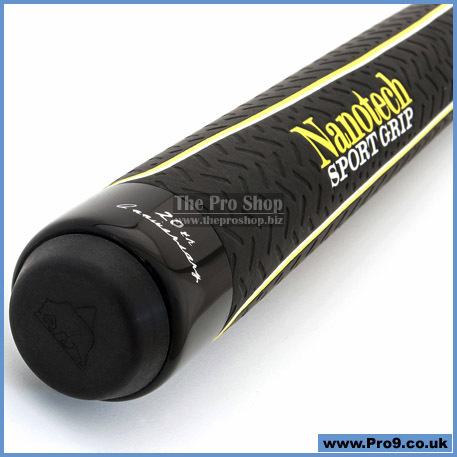 The BCB-2 comes with a soft anti-slip Nano sports grip, which provides a comfortable cue control. An extremely precise Uni-Loc joint system, made from polished stainless steel, provides stability and accuracy.